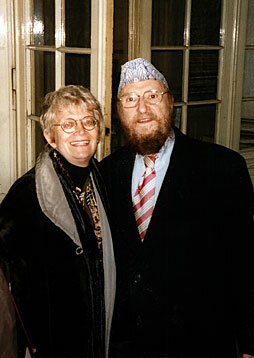 Bhat Boy and Ginnie Rogers, 2001. 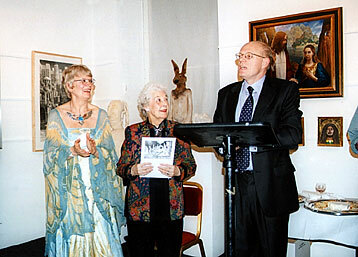 Ceremony at the Opening of the Exhibition 2000. 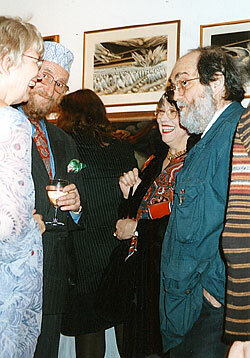 Brigid, Ernst Fuchs, and Mr. and Mrs. Stanley Kubrick, 2000. 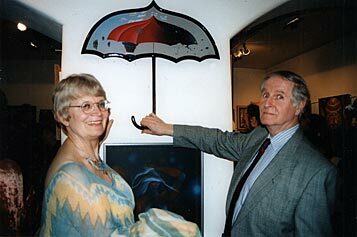 Duke Von Ratibor, Brigid Marlin, H.R. 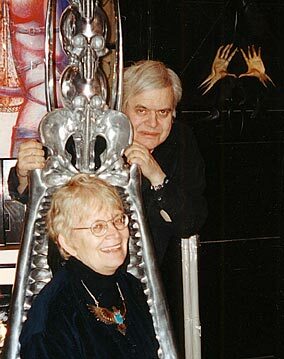 Giger, and Mauro Albarelli. 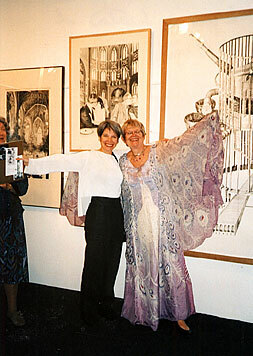 1993.
at the Mall Galleries, London, 2001. Von Stropp, the Grand Prize Winner, exhibition at the Mall Galleries. 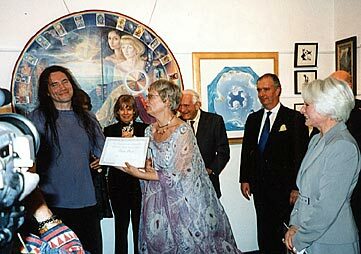 Society for Art of Imagination founder, Brigid Marlin, presents the award. 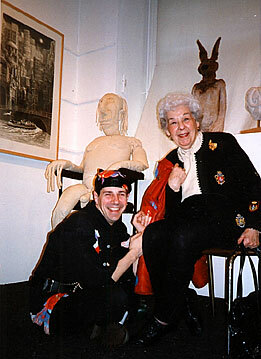 Brigid and H.R. Giger 2001. 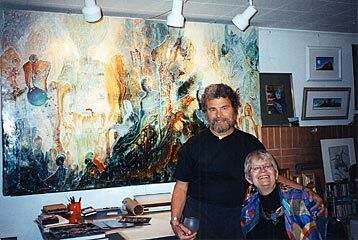 At the home of Robert Venosa in Boulder, Colorado, c. 1989. 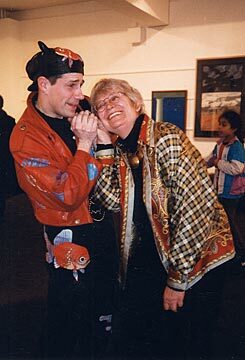 With "Bhat Boy" from Canada at the Press Reception, 2002.
the opening of the Art of Imagination Exhibition. 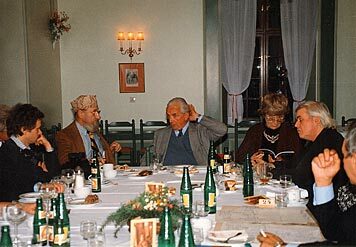 Ernst Fuchs at the Saxe-Coburg Palace, c. 1996. 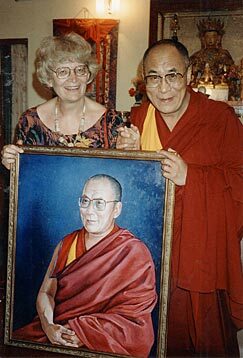 Portrait of the Dalai Lama, c. 1989.